1. 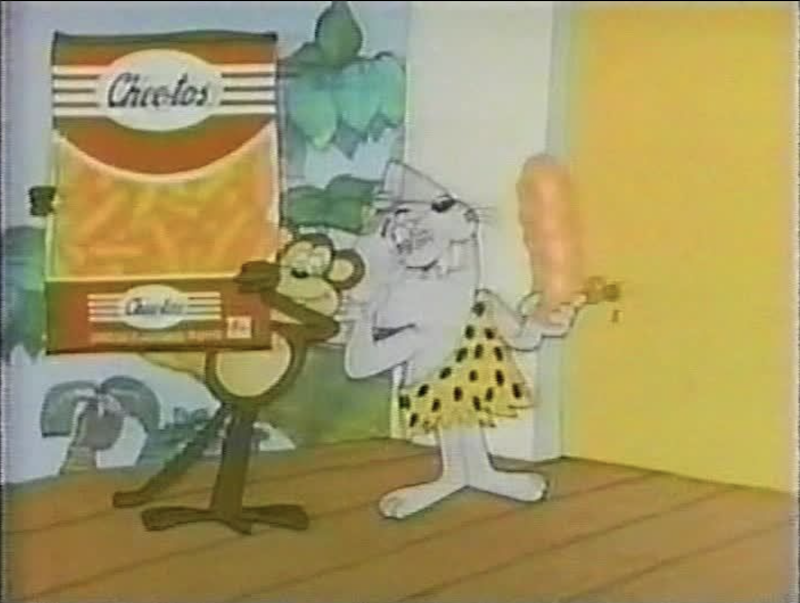 Chester Cheetah wasn’t always the mascot. Turns out the snack’s first spokescritter was a mouse! Seeing as mice love cheese, it seemed like a natural fit, and starting in the early 1970s, this character always took his favorite snack on all kinds of wild adventures. But a decade later, the motorcycle riding squeaker lost his edge, so the brand introduced Chester Cheetah. From his name to his swagger (and those shades! ), this ultra cool cat seemed like a much better match for the brand. 2. A janitor invented Flamin’ Hot Cheetos. Well, make that a janitor turned exec! 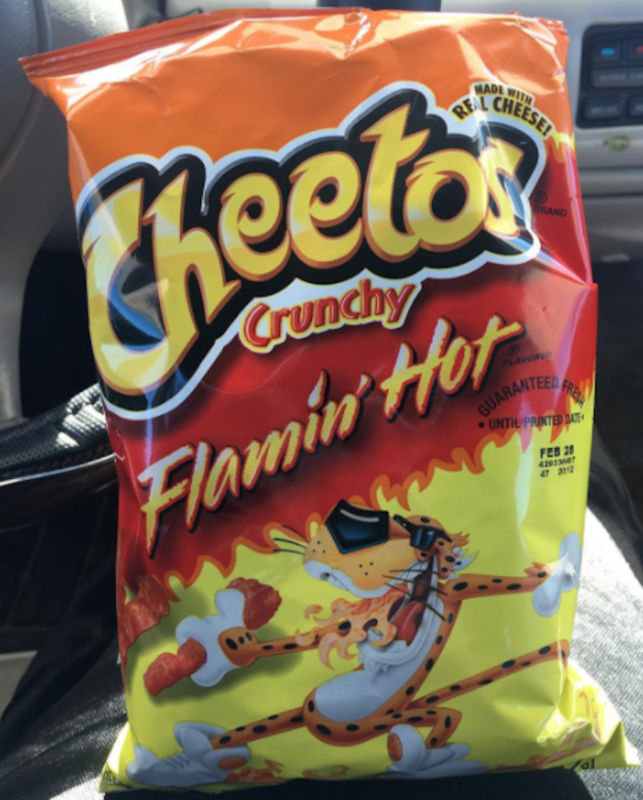 Richard Montañez worked as a janitor at the Frito-Lay factory in the 1970s, and after he started adding chili powder to his own Cheetos, he pitched the idea to the then-CEO. The CEO loved it, and the rest is history. Montañez is now an executive vice president at PepsiCo North America. 3. 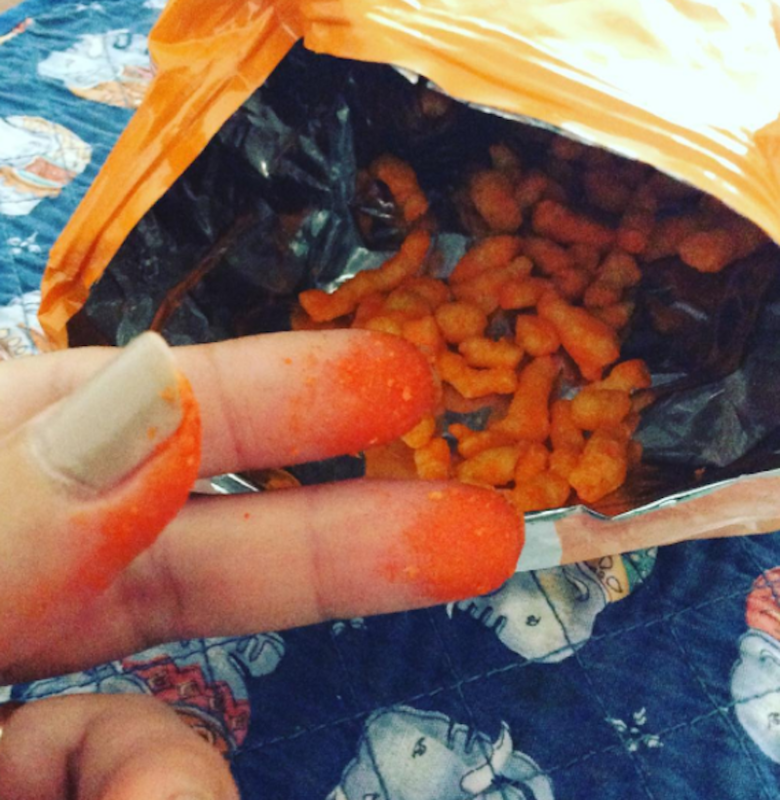 Cheetos are scientifically proven to be addictive. Once you tear into a bag, it’s hard to stop, and there’s a reason for it. According an Oxford study, the brain associates the crunching sound with freshness, so you might be convinced that what you’re eating is more appetizing than it really is. Oh, and then there’s this little thing called “vanishing caloric density,” which tricks your brain into believing that you’re not getting enough of the tasty snack. You see, when a food melts in your mouth, the brain thinks you’re not taking in as many calories. Sneaky! 4. 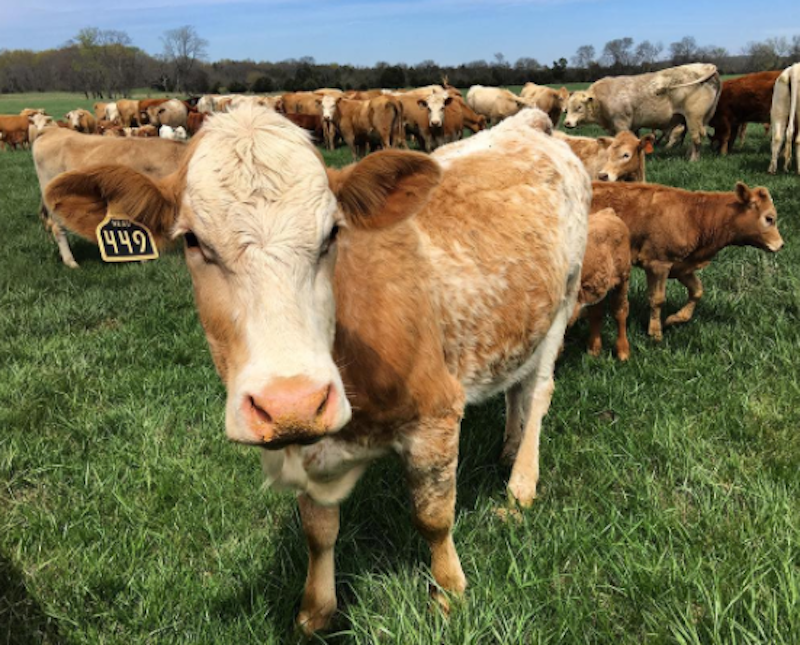 It takes 5,000 cows to generate a year’s supply of Cheetos. It takes 11 million gallons of milk to make the 10 million pounds of cheddar cheese that are used in Cheetos seasoning, this according to Kimberly Scott, the director of communications at PepsiCo, Inc./Frito-Lay North America. For a further breakdown, this averages to 2,200 gallons of milk per cow. Moo! 5. Cheetos come in all kinds of wild flavors. Cheetos are produced in 22 countries all over the world, including Spain, Cyprus, Pakistan and Poland. Not only are there some unique local flavors, but there are some downright weird ones, like Pepsi, strawberry, ketchup and Japanese steak, the latter of which is sold in China. 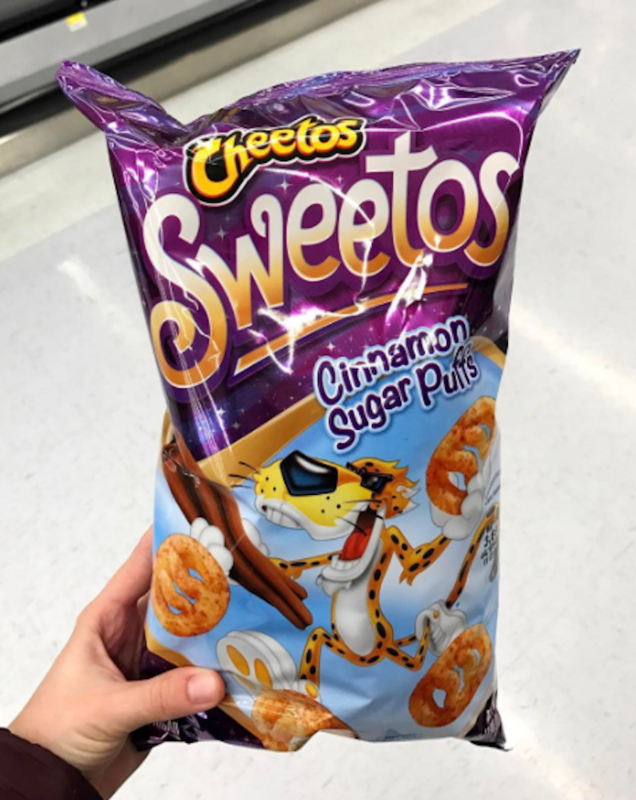 The brand also developed Sweetos, which are cinnamon and sugar snack puffs that are available during the spring — and don’t taste anything like the cheddar crunch we’re used to. 6. 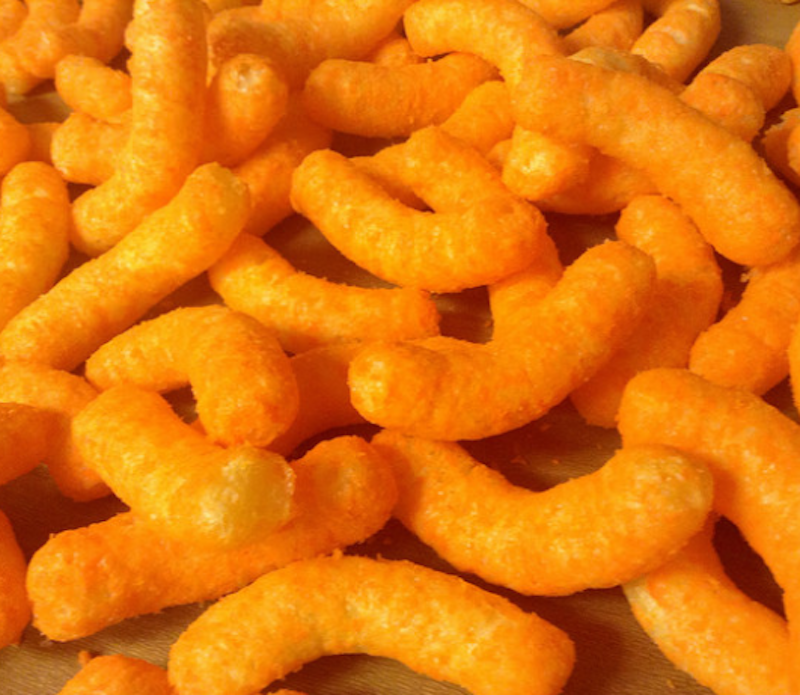 The U.S. military helped invent Cheetos. Back in the WWII era, the military poured money into finding ways to dehydrate foods. Specifically, cheese. 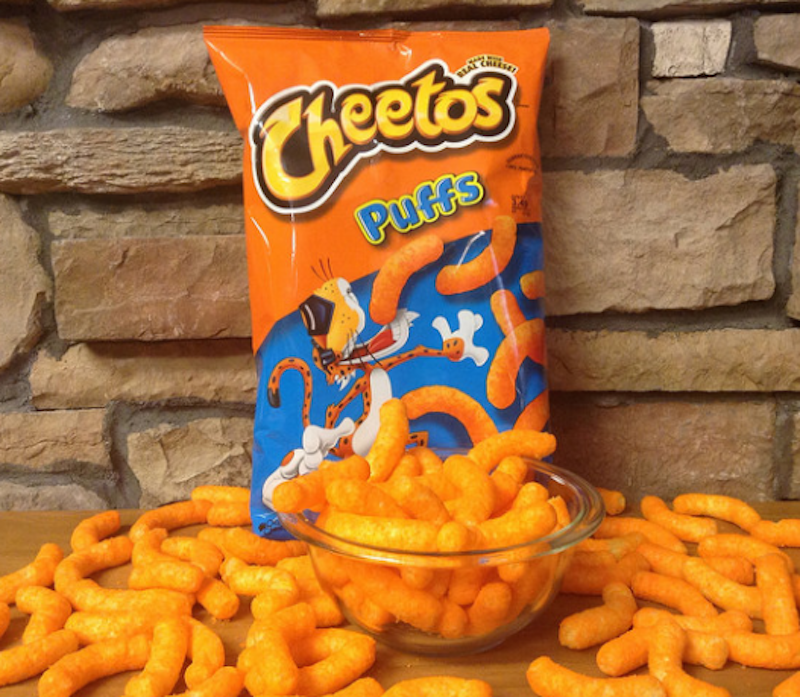 From the longer shelf life to the lighter weight, cheese powder was a smash hit — and also a key ingredient in Cheetos! In 1948 Frito‑Lay (then the Frito Company) introduced their first cheesy snack cracker, which contained the same Wisconsin cheddar that the army put in its dehydrated products. That cheese dust has some serious history! 7. There are even Cheetos cosmetics. Uhh, this is a joke. Or is it? 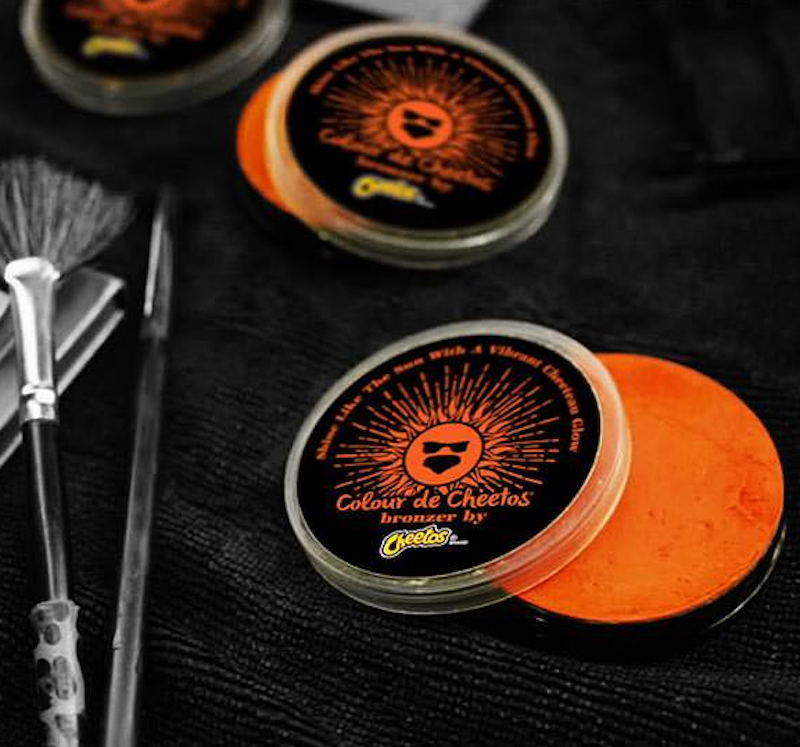 Though it’s no longer available on the Cheetos website, both a bronzer and a fragrance were marketed and sold online during the 2016 holiday season. The bronzer was creamy and orange, but sadly, did not taste or smell like cheese. However, the fragrance reportedly contained hand-extracted cheese oils, so it sounds like the name Cheeteau was right on target! 8. It’s someone’s job to eat Cheetos every day. 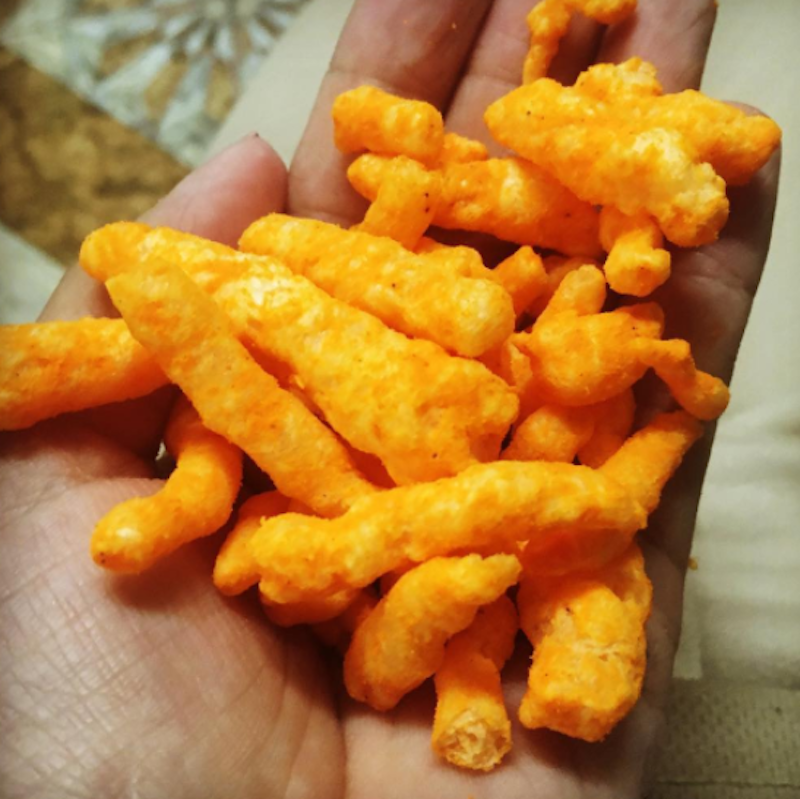 It takes 19 minutes to make a bag of Cheetos, and every half hour, in-house labs at Frito-Lay facilities study the chemical composition of the cheesy poofs pulled from the production line. After that, a quality control panel inspects and tastes the snacks every four hours, comparing them to samples from company HQ. 9. The cheese seasoning has 12 ingredients. You’re putting a lot more than cheese in your mouth, you know. Enriched cornmeal is fried and then rolled around in that oh-so-delectable cheese powder, which contains whey, yellow 6, lactic acid, citric acid, vegetable oil, vitamin B, sugar, salt and MSG, among other things. Mmmmm. 10. 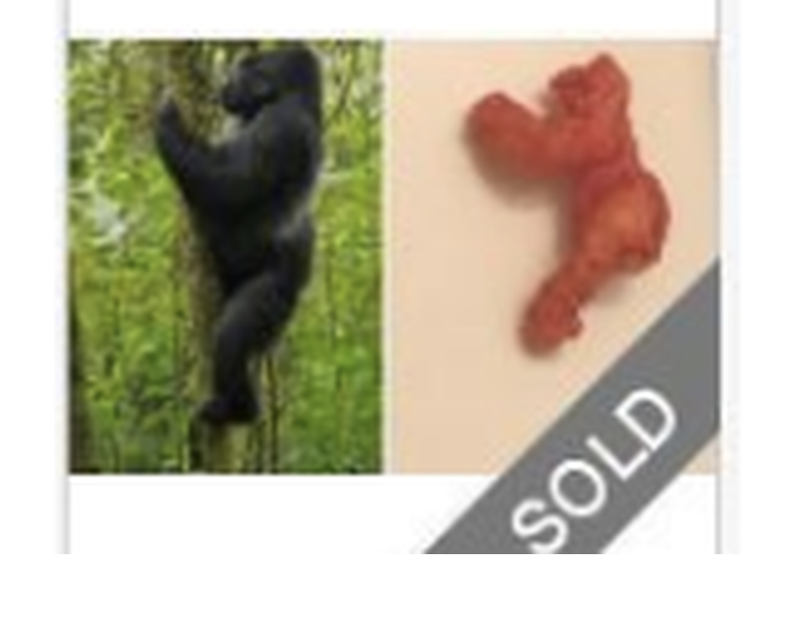 A Cheeto shaped like Harambe the Gorilla sold for nearly $100,000 on eBay. Filed under: Totally random. As you may remember, Harambe the gorilla was killed last year at the Cincinnati Zoo, and one eBay seller seemingly decided to capitalize on the primate’s tragic death. There were 132 bids, and the 1.5” Cheeto ended up selling for $99,900. There are few fast food chains as beloved and controversial as Taco Bell. Does McDonald’s actually put “worm filler” in the hamburgers as a way to save money? Effortless, one-pan mac and cheese is ridiculously delicious.